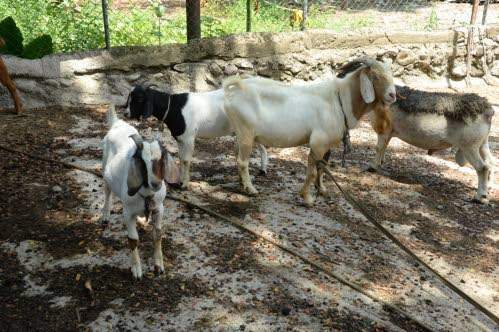 A motorist is on the run after he was allegedly caught with 23 stolen goats in his motorcar in Hayes, Clarendon on Saturday. According to a report from the constabulary’s Corporate Communications Unit (CCU), a team of officers signalled the driver of a Toyota Caldina motor car to stop about 5:30 pm. The police said, he obeyed but made his escape by fleeing into a nearby community. The other occupant of the car, 29-year-old Derron Taylor of Hollywood Road, Phase II in Hayes was taken into custody and charged with larceny of goat. The police are now asking the driver of the vehicle to turn himself into the nearest police station. The police are also appealing to members of the public who have had their goats stolen to contact the Hayes police at 986-5130 or visit the statement between the 8:00 am – 5:00 pm.